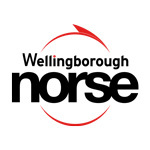 Wellingborough Norse are seeking an Arboricultural Operative. This role is to provide tree maintenance operations over a range of specific activities and to ensure that tree maintenance and arboricultural standards are maintained throughout all of our clients’ sites. Successful candidate will be required to work in all weather. City & Guilds NPTC Level 2 Award in Chainsaw Maintenance and Cross Cutting. City & Guilds NPTC Level 2 Award in Felling and Processing Trees up to 380mm. Experience in aerial and ground tree work. The ability to identify tree species. Full UK category B driving licence. Due to travel between various sites.